Story based on report by Kyle Jillson in NRAblog. 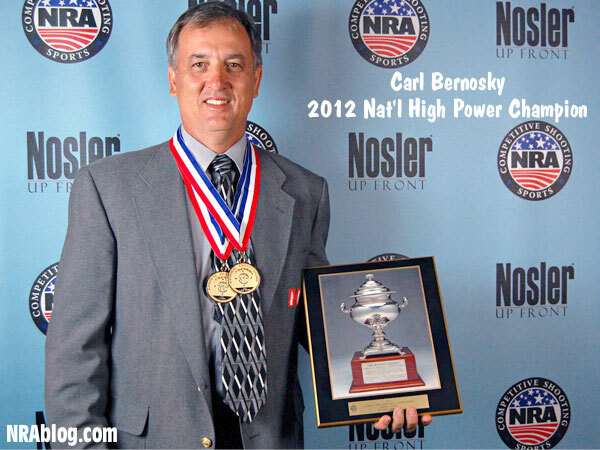 Carl Bernosky wasn’t the only shooter to win an award at the 2012 High Power Rifle Championships. The ten-time champ* was joined at the Award Ceremonies by plenty of other talented competitors who received awards for High Woman, High Junior, High Senior and many other classifications. Here is a gallery showing many of the award winners at the 2012 National High Power Championships. These photos were taken backstage at the awards ceremony. Below the gallery, winners in both Service and Match Division are listed, along with their awards and relevant scores. *Carl Bernosky won the Match Rifle Trophy in 1981, putting him at eleven all-time, but D. I. Boyd outshot him with the service rifle by one point, bringing about one of the rare occasions the Service Rifle Champion is also the overall winner. 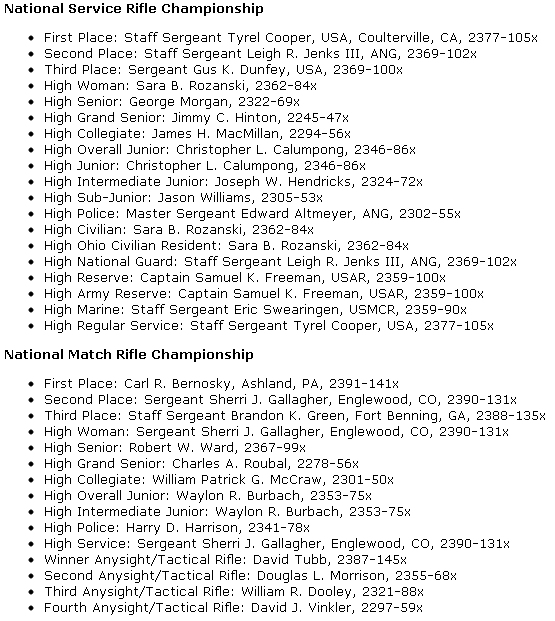 Share the post "Award Winners at 2012 NRA National High Power Championships"